A lunar transit, Insight's first look at Mars and more. 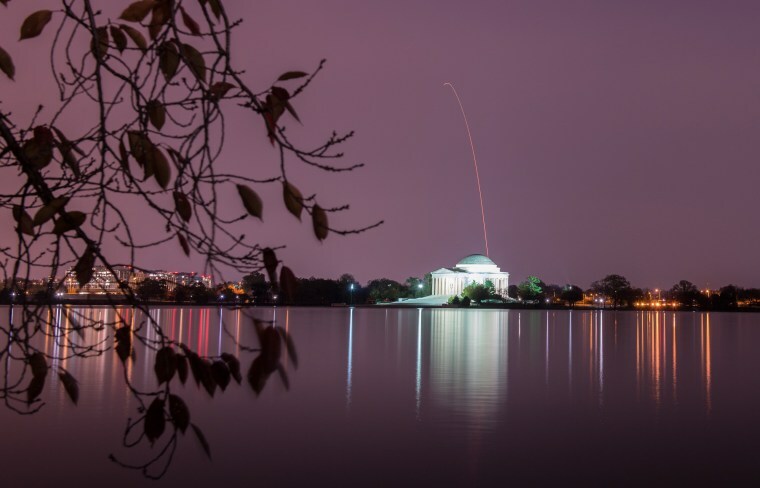 An Antares rocket carrying a robotic cargo ship to the International Space Station soars over the Thomas Jefferson Memorial on Nov. 17. 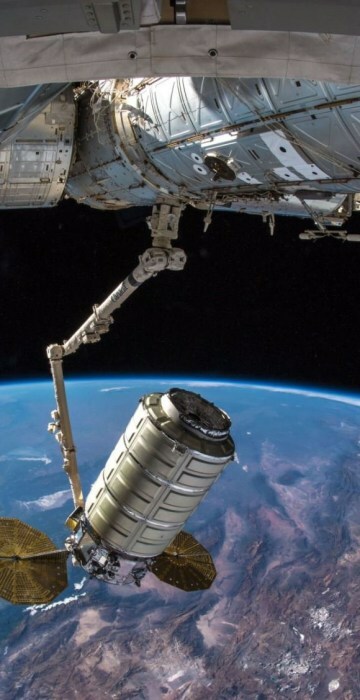 The cargo craft, which launched from NASA's Wallops Flight Facility in Virginia, delivered about 7,400 pounds of science experiments, supplies and other hardware to the orbiting outpost. 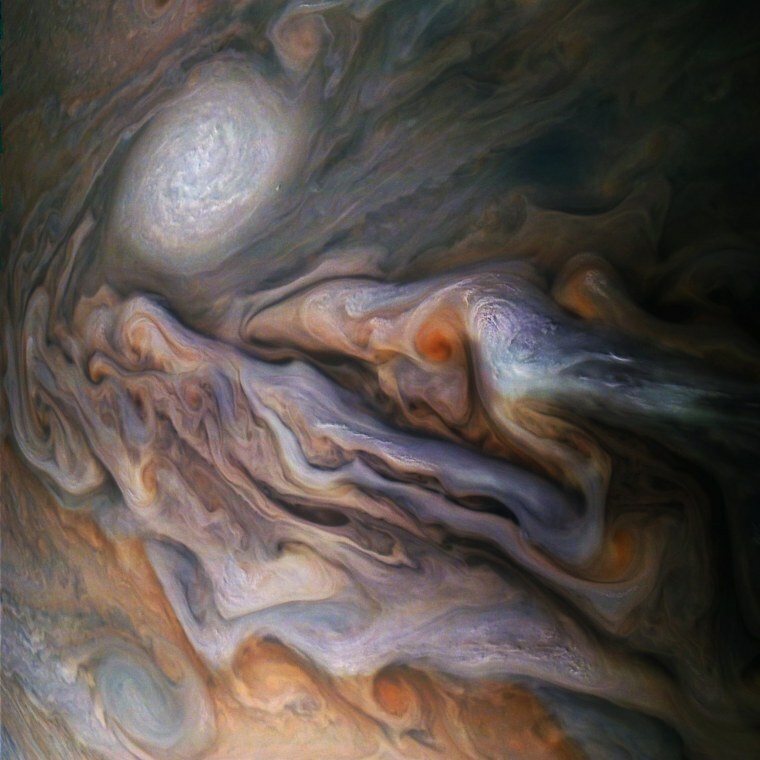 NASA's Juno spacecraft captured this view of Jupiter's magnificent, swirling clouds. The image, released on Nov. 22, was taken as the space probe performed its 16th close flyby of the giant planet. NASA astronaut Anne McClain, Canadian astronaut David Saint-Jacques and Russian cosmonaut Oleg Kononenko complete final training exercises ahead of their scheduled launch to the International Space Station on Dec. 3. 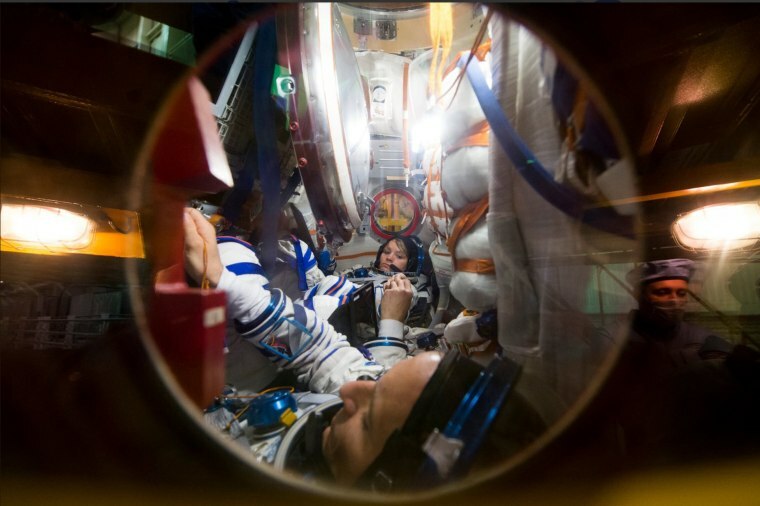 "Final exams are complete and Expedition 58/59 crew members are preparing to visit their new home for the next 6 months," NASA tweeted, along with the photo, on Nov. 30. 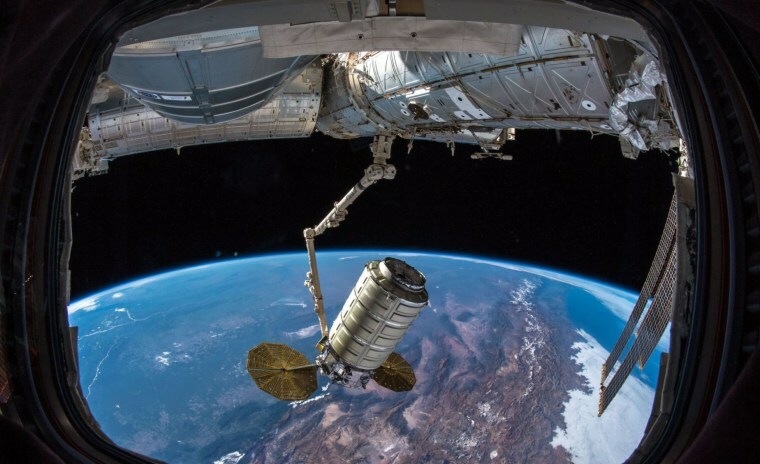 NASA astronaut Serena Auñón-Chancellor shared this photo of the robotic Cygnus cargo ship arriving at the International Space Station on Nov. 19. Auñón-Chancellor and her crewmate, Alexander Gerst of the European Space Agency, used the space station's robotic arm to capture the cargo craft and dock it to the orbiting outpost. "Proud to have The SS John Young on-board!" Auñón-Chancellor tweeted. The Solar Dynamics Observatory witnessed this so-called lunar transit — when the moon passed between the spacecraft and the sun — on Nov. 7. 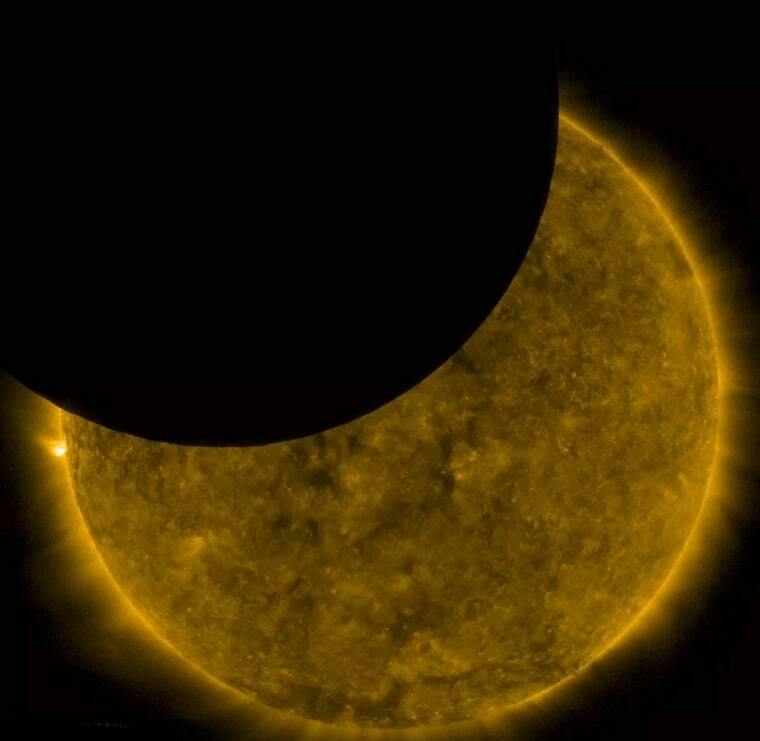 The celestial event lasted just under an hour, and at its peak, the sun was about 44 percent obscured. The photo, released on Nov. 17, was captured in a wavelength of extreme ultraviolet light, a type of light that is typically invisible to human eyes but is shown here in gold. 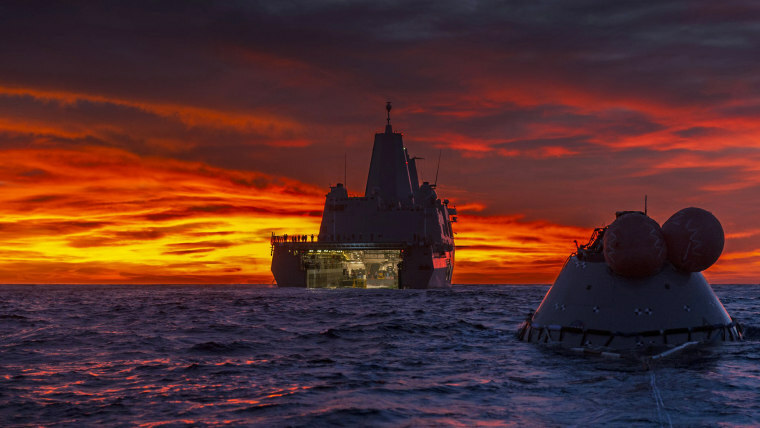 The USS John P. Murtha is shown retrieving a prototype of NASA's Orion capsule from the Pacific Ocean on Nov. 1. It was one in a series of tests that the space agency's Exploration Ground Systems Recovery Team, along with the U.S. Navy, are conducting to practice fetching the Orion spacecraft after it splashes down following deep-space exploration missions. 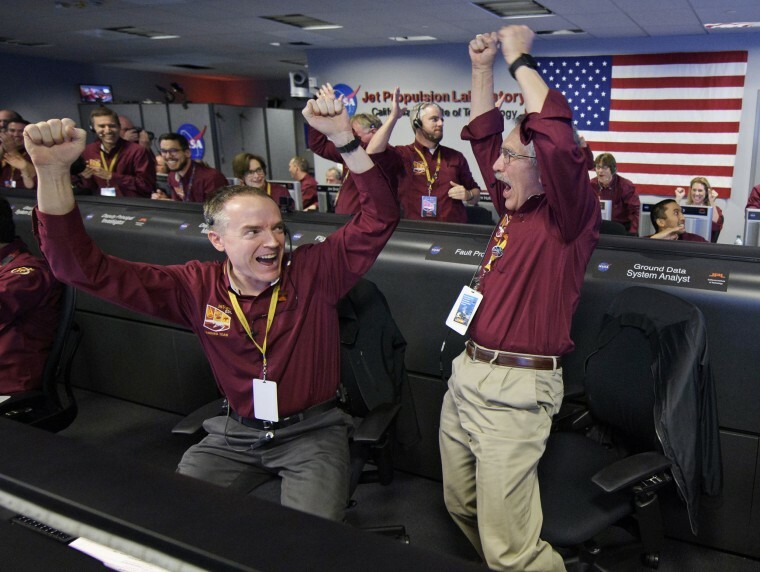 Members of NASA's Mars InSight landing team celebrate after receiving confirmation that the spacecraft successfully touched down on the surface of the Red Planet on Nov. 26. InSight now begins a two-year mission to study the deep interior of Mars. 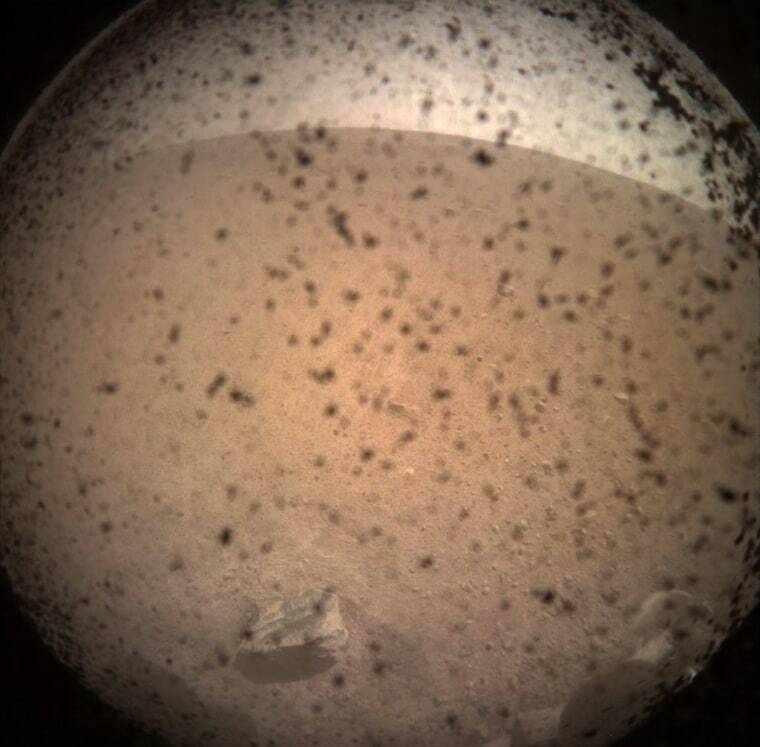 The Mars Insight lander beamed back this photo — its first from the Martian surface — on Nov. 26. The landscape of the Red Planet is obscured by debris on the camera's dust cover, which was later removed. 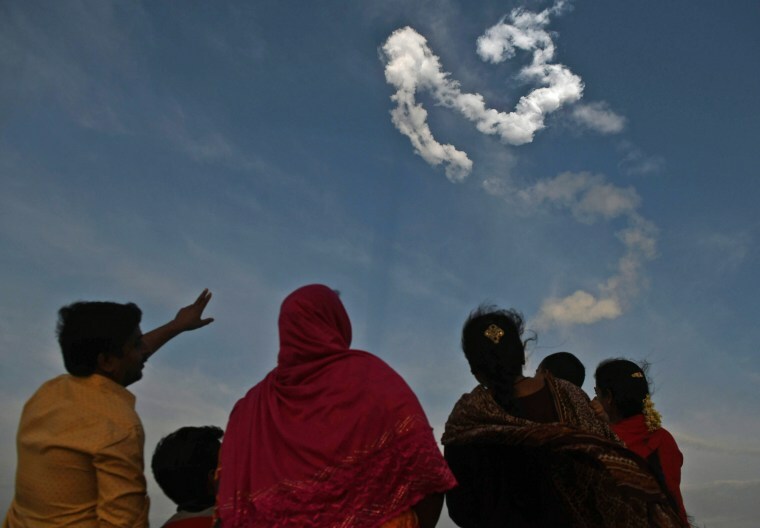 Spectators gaze up at the trail left behind by a rocket carrying the Indian Space Research Organization's GSAT-29 communications satellite, which launched from the Indian state of Andhra Pradesh on Nov. 14. 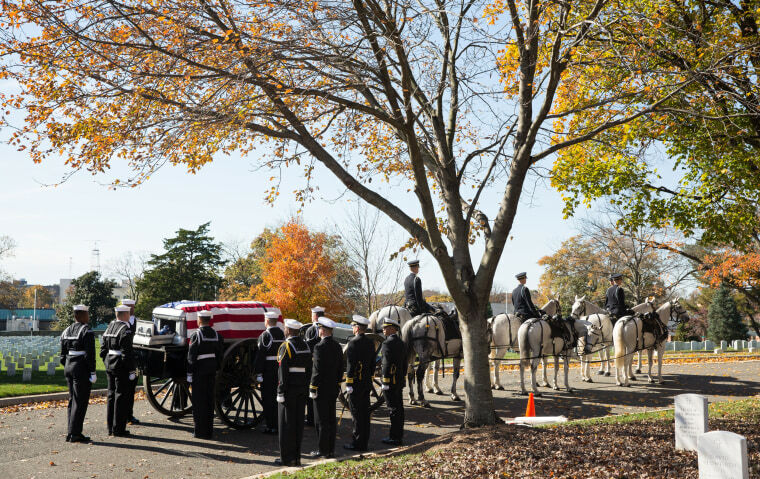 Apollo astronaut Alan Bean is laid to rest in a ceremony held Nov. 8 at Arlington National Cemetery in Virginia. Bean, who died on May 26, was selected as an astronaut in 1963 and flew in space twice, becoming the fourth human to walk on the moon on Nov. 19, 1969. He later spent 59 days in space as commander of the second Skylab mission in 1973. 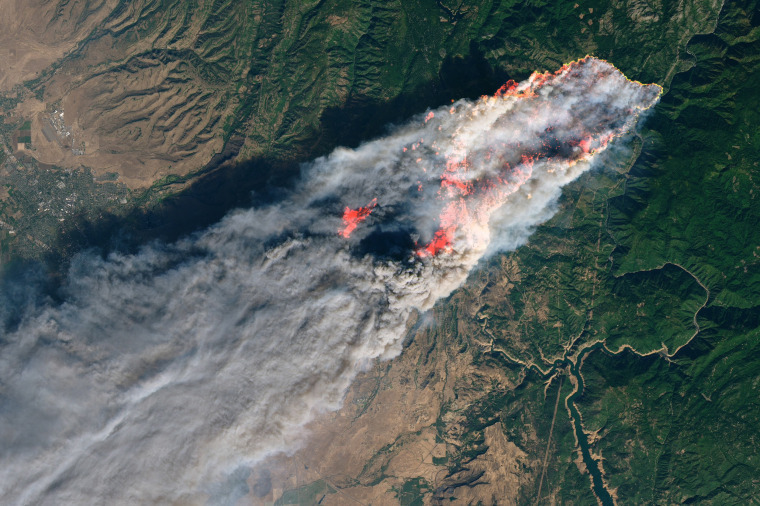 The Landsat 8 satellite captured this photo of the Camp Fire, the deadliest and most destructive wildfire to date in California history, on Nov. 8. The photo, released on Nov. 17, shows the fire burning about 85 miles north of Sacramento. The death toll from the fire stands at 88, and U.S. Interior Secretary Ryan Zinke recently said costs associated with the deadly blaze will likely be in the billions. This photo was created using eight images taken on Oct. 29 by NASA's OSIRIS-REx spacecraft as it closes in on its target, the asteroid Bennu. The images were snapped from a distance of about 205 miles, but both the spacecraft and the asteroid were moving at the time. 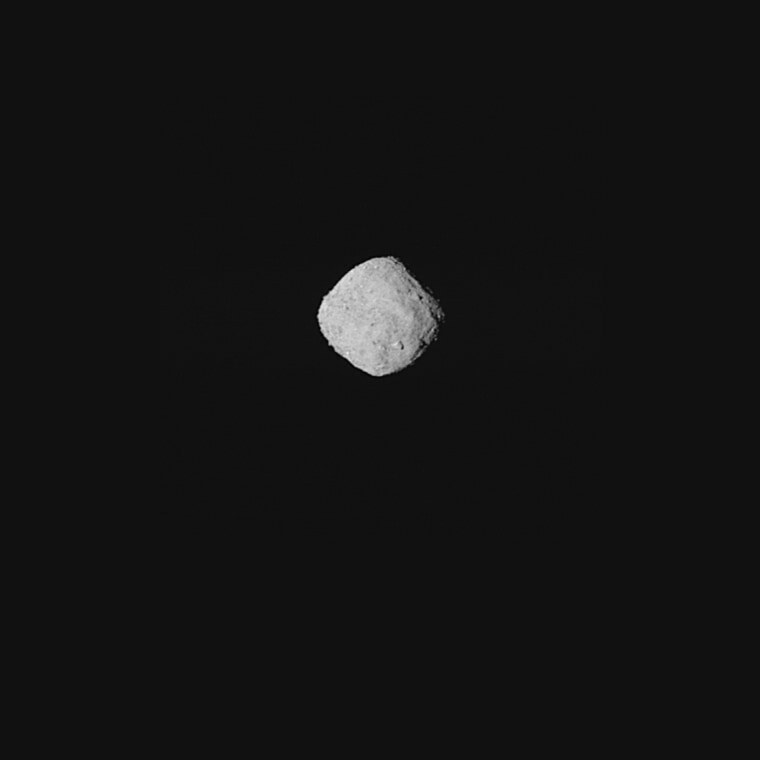 According to NASA, the OSIRIS-REx team used a super-resolution algorithm to combine the eight images and produce a higher resolution view of the space rock. 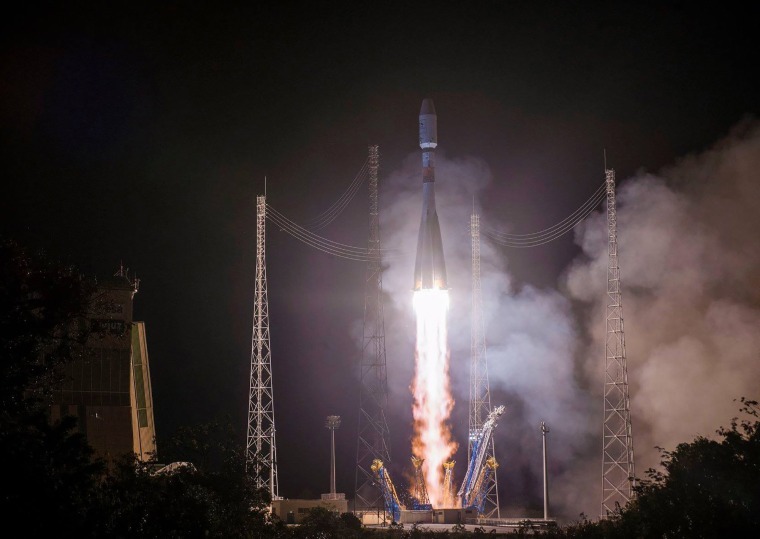 A Soyuz rocket carrying the Metop-C weather satellite launches from the Kourou, French Guiana, on Nov. 6. 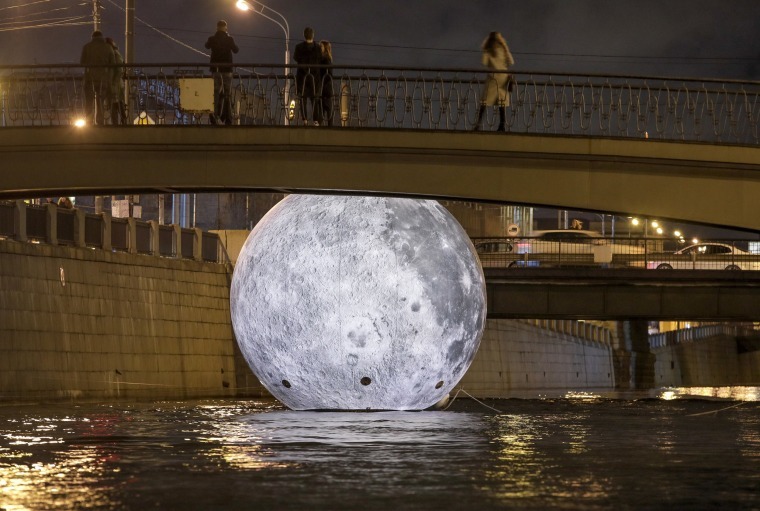 Spectators examine a giant floating ball depicting the moon's surface in the Obvodny Canal in St. Petersburg, Russia, on Nov. 3. The orb was part of an installation for the city's "Festival of Lights."